To improve the knowledge of the bridge’s structural behavior, especially during the construction of the bridge, continuous monitoring was commissioned for the structure. 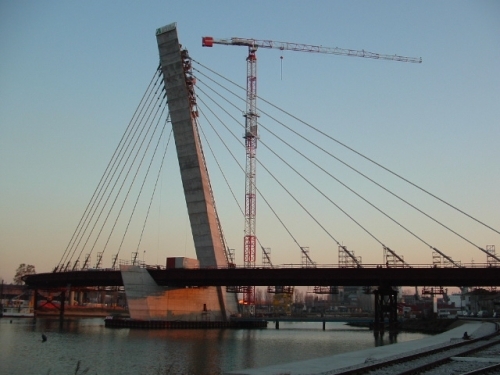 A new challenging cable-stayed bridge has been monitored since 2003 in the commercial harbour of Marghera (an industrial zone of Venice basin). The structure consists of seven spans with a total length of 424 meters: the main deck with two spans of 126 m and 105 m, plus 5 small spans, with lengths from 30 m to 42 m. The deck frame is made of steel and has a width of 24 meters. To improve the knowledge of the bridge’s structural behavior, especially during the construction of the bridge, continuous monitoring was commissioned for the structure. Of primary concern was failure in the precast slabs during the construction process. 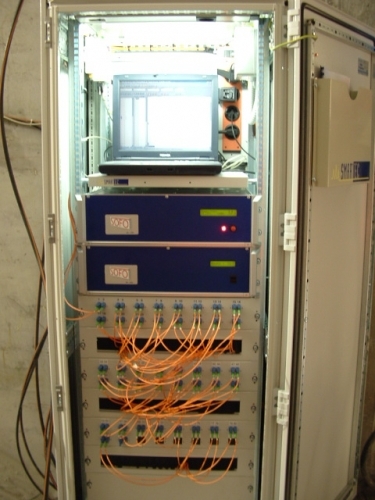 The fiber optic SOFO monitoring system, developed by SMARTEC SA (Manno, Switzerland), was chosen for this application. A total of 78 SOFO sensors, 4 SOFO inclinometers and several thermocouples were integrated on the bridge by our system integrator Tecniter Srl (Milan, Italy). 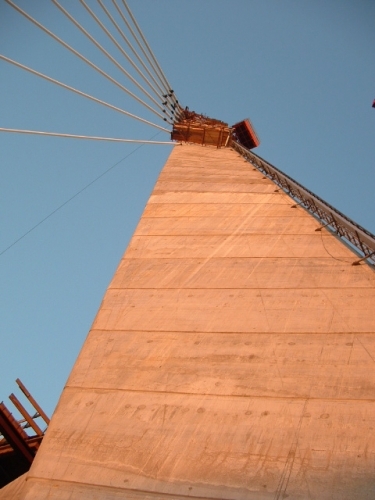 Permanent static and a dynamic structural monitoring will be performed on the structure in order to provide data on the main steel deck, the 18 steel cables which support the load of the deck, and the tilted pylon antenna where the cables are anchored.